September 201 Maybe it's the start of the school year or the Jewish New Year, but September has always been a month of reflection for me. Simply ask my wife, who had to put up with an often sullen college student during my Septembers at the University of Michigan. This September, however, I'm feeling grateful and optimistic. I recently came across a story I wrote in the spring of 2010, definitely the nadir of my travel writing career. In the heart of a recession, following an upheaval in the publishing world where I easily lost more than half of my editors, I was paid a mere $50 for a 500-word story. Hope was diminishing and little did I know I would have a thriving travel business with my wife 5 years later. In a recent interview I did with a local radio station (here is a link if you need a good sleep aid), I was asked whether I steer our clientele to a more authentic experience, away from the masses, which was my forte as a travel writer. No, I said, we're here to make memorable experiences, whether it's a week with an indigenous tribe in the Ecuadorean Amazon or a cruise to the Caribbean. We're just grateful for the opportunity. So thank you once again for your trust and loyalty! In this month's newsletter, we talk about Puerto Rico, easy to access on direct flights and no passports required for Americans. It's also a great month to head down South, so we divulge four hotels we like in Charleston, New Orleans, Tennessee, and Natchez, Mississippi. For our Quick Escape, I'm excited to report live from Acadia National Park where I am right now to help promote their centennial in 2016. We also talk about an outfitter who specializes in custom-made trips to Cuba and introduce our Journey to Global Citizenship Travel Plan. Thanks to affordable direct flights and the pleasure of avoiding customs for American travelers, Puerto Rico has quickly become a favorite warm-weather destination. These past several years have also brought a new round of upscale hotels like Dorado Beach, a Ritz-Carlton Reserve property, and the recently refurbished, El Convento, housed in a former 17th-century convent. More modest budgets can opt for Casa Castellana, a wonderful B&B in San Juan where we book many of our clients. The owner, Natalia Richards, is the ideal host to the island, suggesting favorite restaurants, sites, and day tours. Spain's influence on Puerto Rico is still seen today in churches and other historic buildings that date back to the time of Columbus. 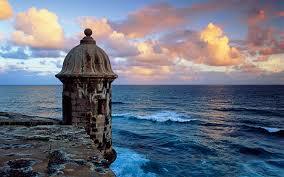 Start on the cobblestone streets of Old San Juan, founded in 1509 by Ponce de Leon. You can still see glimpses of the blue stone, adoquine, brought over in ballasts by Spanish ships. Walk the towers and ramparts of Castillo de San Felipe del Morro, otherwise known as El Morro, a fort that was originally built in 1540. 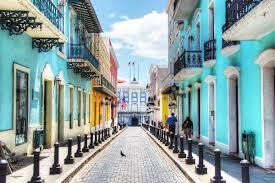 Then wander over to the Historic District, undoubtedly the best-preserved neighborhood in the Caribbean. 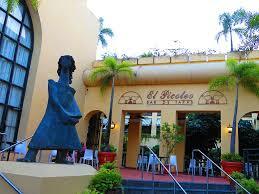 food in San Juan, stop at El Picotea. Tapas and paella, chockful of fresh, local seafood, are washed down with tasty and strong sangria. Once you have your fair share of the city, it's time to drive the interior or hit the water. Take a day trip into the mountains to visit San Germán, a smaller version of San Juan without the congestion. Founded in 1512, the town is the second oldest on the island and its historic zone houses a wonderful collection of buildings, spacious plazas, and monuments. 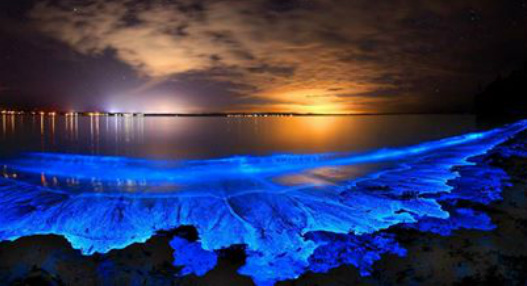 Bay emits a neon blue color from the microorganisms found in the water. 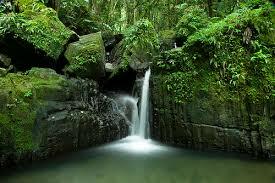 All three of these natural adventures can be arranged as day tours from your accommodations in San Juan. They say the best views of Puerto Rico come from the water. Watching the palms sway, seeing horseback riders galloping along the beach, and eyeing lighthouses as they stand tall, sending their beacon of light over the ocean waters. This is especially true if you're on a board surfing Rincon. Called the "Caribbean Pipeline," surfers from America, Europe, and South America flock to the western tip of Puerto Rico to glide atop the consistently large swell at spots like Maria's, a monstrous reef break. Surf787 serves delicious local food (included in the price), and is owned by a world-class Brazilian surfer, Roger Wagner. His six villas are perched on a hillside with water views just west of town. Depending on your level of expertise, he'll guide you to the best surf spots within a 40-minute drive. Or you can venture out on your own, especially in the early morning hours when the local contingent of surfers are usually sleeping in after hitting the bars. November to April is the best time to surf Rincon. 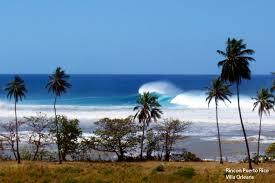 Check out the surf report, grab a flight into Aguadilla, and you could be on the water today. If you're dreaming of that perfect Caribbean beach, one with blinding white sands, cerulean waters, gently swaying palm trees, and very little beach traffic for miles and miles, then it's hard to top Vieques. 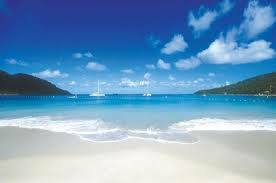 A small island off the east coast of Puerto Rico, Vieques boasts more than 40 beaches and not a single traffic light. Our clients have stayed at the W property on island or at smaller B&Bs. If you need a spur of the moment warm-weather getaway, Puerto Rico is a good choice. We're here to help. Based in Charleston's historic center, this small hotel is traditional and authentic. Inlaid parquet floors, mahogany woodwork and Tiffany stained-glass windows are just some of the stylish features of this four story manor home once owned by a wealthy cotton merchant. Included in their rates is the complimentary continental breakfast each morning, afternoon tea, and cocktails and hors' doeuvres in the evening. 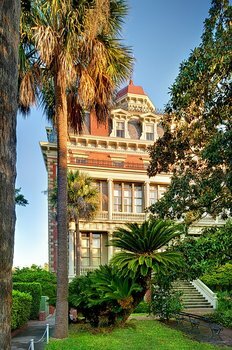 Don't forget to check out the formal gardens and rooftop terrace where you can see a panorama of Charleston. This is a great pick for a romantic getaway. 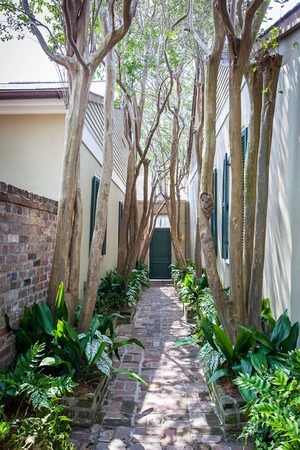 Located on the quieter side of the French Quarter, this Creole cottage colony is named for the naturalist, John James Audubon who lived and painted here while working on his Birds of America series. Composed of one and two bedroom cottages arranged around one of New Orleans' oldest pools and set in a sculpture garden, these upscale boutique bungalows have a distinct charm. Built in 1818, this beautiful antebellum mansion is surrounded by 26 acres of gorgeous gardens. If you want to wake up feeling like Scarlet O'Hara or Rhett Butler, this is the place for you. Blooming magnolias surround you as you sip mint juleps and listen to the hum of cicadas in the air. 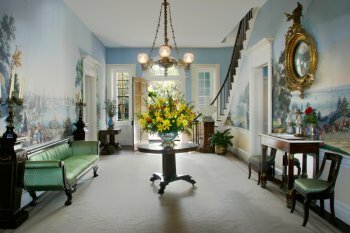 For a fun weekend getaway, try their Historic Natchez package including 2 nights in an antebellum room, $100 gift certificate for dinner at the inn, tickets to a carriage ride through historic Natchez, full Southern breakfast each morning and tickets to 3 local antebellum homes of your choosing. More a lavish country estate than a farm, Blackberry Farm is an all-inclusive retreat with 69 rooms located on the edge of the Smoky Mountains. Only 20 minutes from the Knoxville Airport, this back-country lodge features 4,200 acres of rolling hills, two small lakes and dense forests with miles of trails. The Barn is their onsite European style restaurant with a James Beard award- winning chef on board. 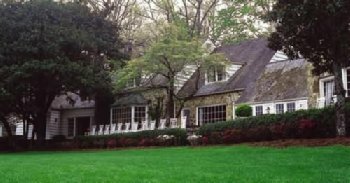 The Main House offers delicious Southern cuisine. What to do besides eat? Fishing, horse-back riding, mountain biking, tennis, volleyball, shuffleboard, canoeing and horseshoes are just some of the diversions. A spa and fitness center are included as is a very popular cooking school. U.S. travelers are very excited to travel to Cuba now that many of the restrictions have been lifted. However, unless you go on a cruise or travel there with an organized "people to people" cultural exchange, it is still tricky to journey to Cuba independently due to a lack of infrastructure like booking engines for hotels and ATM machines where you can freely obtain money during your trip. Arrangements need to be negotiated on the spot and many Americans are just not willing to take this on during their precious vacation time. 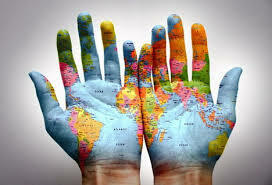 This is where International Expeditions comes in! They have been planning trips to Cuba for decades and can design a customized itinerary just for you. 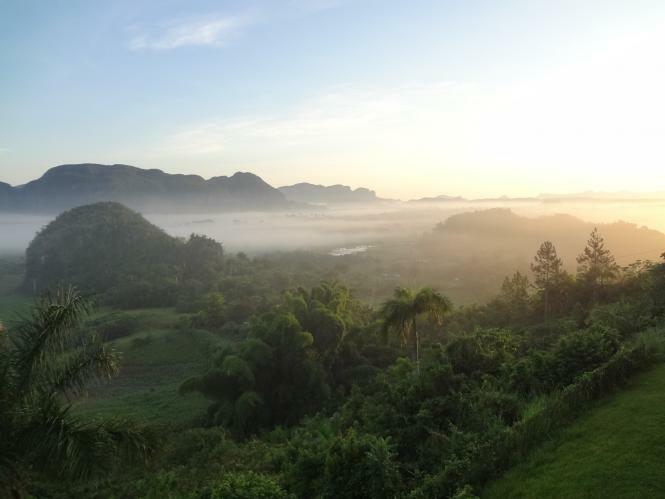 They will make sure you see all the highlights like Havana, Trinidad, Vinales and the Bay of Pigs but will also include cultural experiences and naturalists, birders and conservationists. 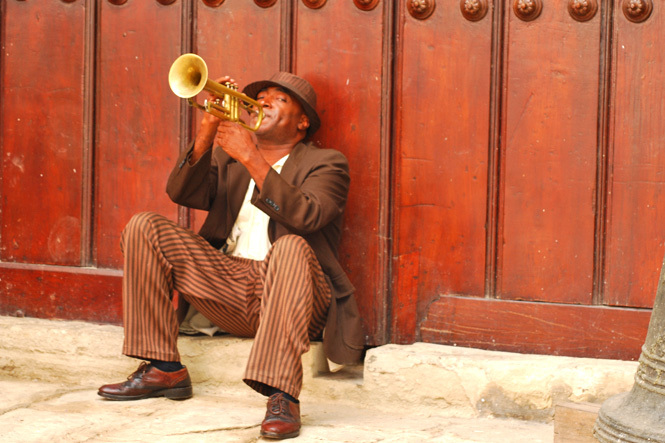 Other highlights of their trips include watching a baseball game in Havana, seeing Hemingway's home, viewing a cigar factory, and experiencing the music of Buena Vista Social Club. 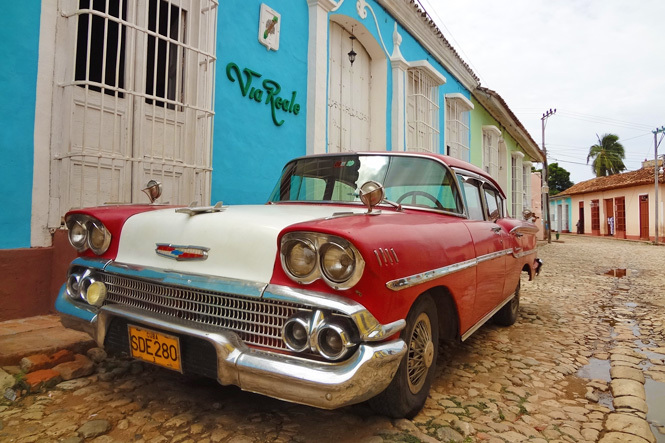 Give us a call if you'd like to get to Cuba before the inevitable changes that increased tourism will bring! We can work with you and International Expeditions to create an amazing trip catered to your interests. When you look back on your childhood, what do you remember? 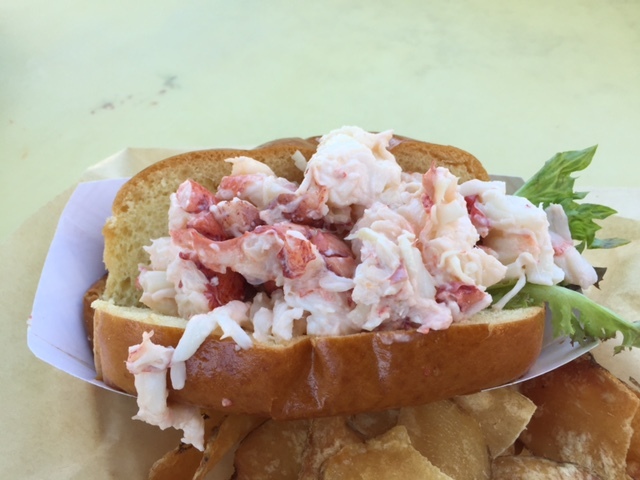 You probably remember the vacations you had together, whether it was those painful long rides in the car down to Florida or those eye-opening trips to far-flung locales. Now, as we are more connected globally through the internet, parents are searching for ways to not just get a tan and a break from real life, but truly connect in a meaningful way in the destinations they choose. It's become important to us that our kids understand different cultures and acquire a broader perspective. Travel can play an amazing role toward helping our children to be more accepting of different races, religions and cultural practices. Travel can also give our kids (and their parents!) the tools to navigate unfamiliar surroundings, improvise, and ask for help from others when necessary. about coming up with a five-year plan for your travels, just as you would create a five-year plan for your financial goals. Now, Virtuoso, the travel network that we are aligned with, offers their Journey to Global Citizenship program with just this in mind for parents who want to gradually introduce their children to cultures around the world. You may be asking us, "After one too many trips to Disney, what's next?" Our response? 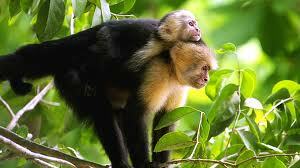 Start small, and consider a trip to the Caribbean, Costa Rica, Belize or Panama. A shorter flight is always welcome with younger children. 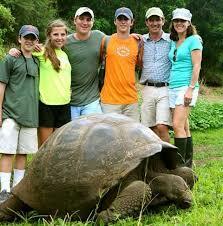 The next step may be to head to Ecuador and the Galapagos Islands to see Darwin's work up close and personal. The list goes on and on and we can help you create your own Family Travel Wish List. We have lots of ideas for you! 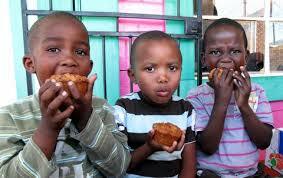 Visit Cape Town, South Africa, and volunteer to give lunch to school kids as part of the Le Quartier Francais' Isabelo program. Stay at the Ritz-Carlton Half-Moon Bay and volunteer at the Coastside Hope center to provide emergency food, clothing, and shelter to nearby residents. Stay at Banyon Tree Mayakoba in Mexico from October 13-19 and you can help to serve meals to local community members as part of World Food Day. Head to a big-name national park in summer and "forever wild" might feel more like "forever congested." Come September, America's most scenic spots finally relax after the record number of visitors in July and August. This is especially true of Acadia National Park in the fall, where thickets of maples on Mount Desert Island turn crimson to add to the already spectacular show of dark blue ocean and evergreen forest. A bonus is that black flies and mosquitoes are a distant memory. 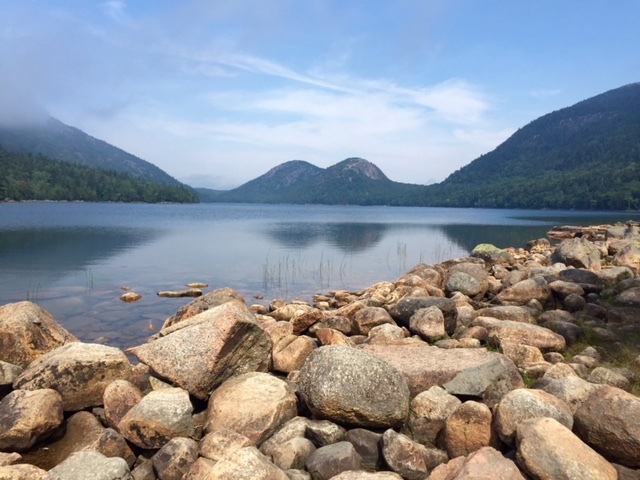 This week, I'm blogging live on location at ActiveTravels.com/blog to help promote Acadia's 100th birthday in 2016. I've probably written more stories on this locale than any other spot in the world, penning articles for The Boston Globe, Yankee, Men's Journal, Outside, National Geographic Adventure, and many more. 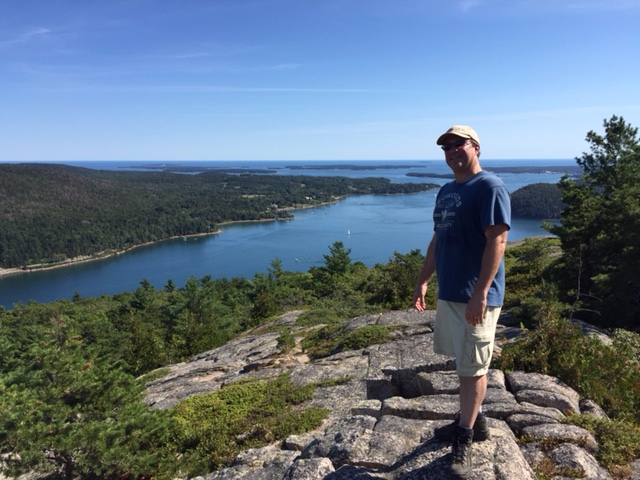 I usually start with a hike up Acadia Mountain, where Lisa and I once spotted a bald eagle flying overhead. In fact, Lisa ran, thinking the bird was going to swoop down and eat her sandwich. 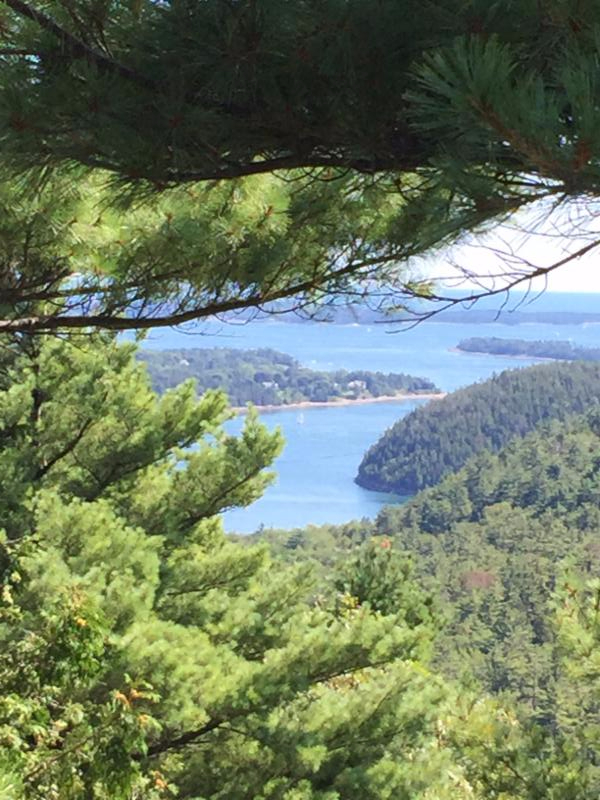 When she came back, we savored the view of the precipitous cliffs of Norumbega Mountain sliding into Somes Sound, creating the only fjord on the eastern seaboard. When our kids were young, we always liked the hikes up North and South Bubble, peaks that stand less than 1,000 feet. That's because we would reward them with freshly baked popovers at nearby Jordan Pond House afterwards. Now Jake, 19, climbs up vertiginous rock walls on iron rungs on so-called trails, such as Precipice and Beehive, and his parents are the ones who are nervous. It's not all about climbing. We bike the shores of Eagle Lake, where a carriage path (one of the gravel roads that crisscross the eastern half of the island) circles for six miles under towering firs and over century-old stone bridges. 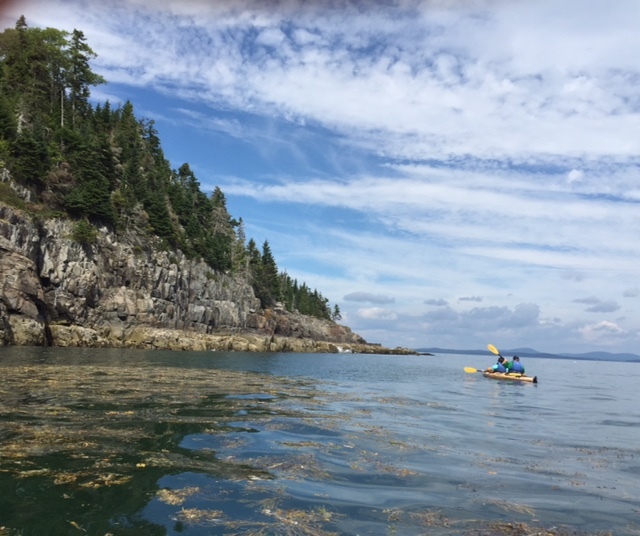 kayaking jaunts in the Atlantic, where we've gone eyeball-to-eyeball with harbor seals and searched for sea glass on deserted Frenchman Bay islands. 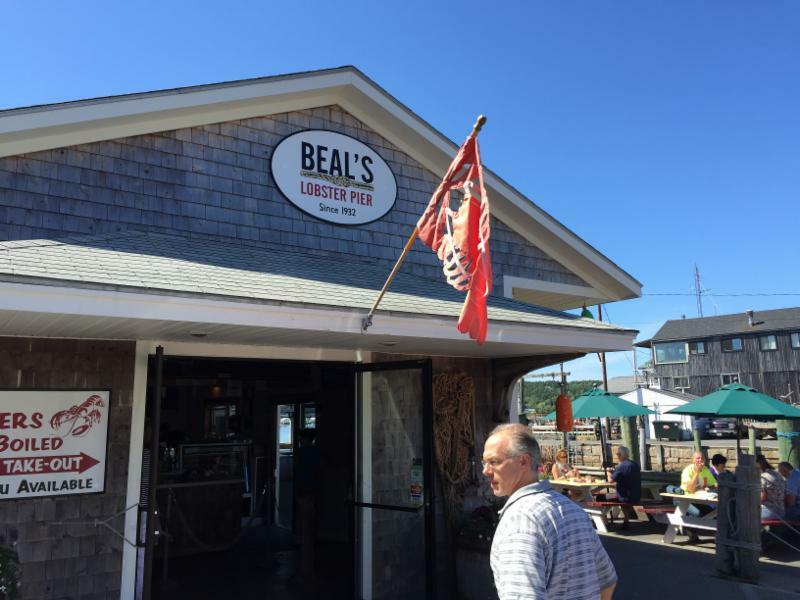 And, of course, we dine on more than our fair share of lobster, especially at our favorite, Beal's. It's a special place we should all visit at least once!